Enchantments with constellation abilities represent the divine constellations that fill the night sky—and now the mortal world—of Theros. An enchantment's constellation ability triggers every time it or another enchantment enters the battlefield under your control. 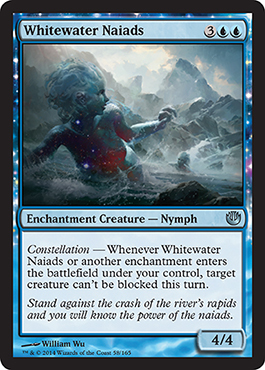 Most of the enchantments with constellation abilities in Journey into Nyx are enchantment creatures, but not all of them.